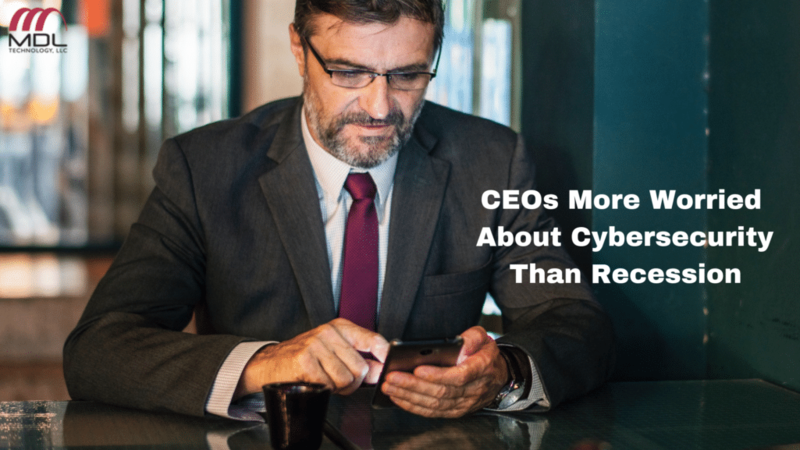 According to Fortune, a recent study by the Conference Board found that most domestic CEOs are more worried about cybersecurity than about a recession. This isn’t as irresponsible as it may sound. Breaches can affect any company of any size, which means that all levels of management and employees should be on the lookout for suspicious activity. Mega-breaches are now a growing trend, exposing more records per breach and potentially causing businesses to close down. The financial blow to a company is staggering on its own, coming in at $3.84 billion on average, according to Website Hosting Rating. On top of that, 71 percent of customers say they would leave an organization in the event of a breach, so there is a lot more to lose than just downtime if your company experiences a breach. These figures show that there is a legitimate reason that high-level management should be worrying about their cybersecurity plans, and even with so much on their plates, cybersecurity is a good priority to be at the top. We at MDL Technology have a host of cybersecurity solutions for your company, including disaster recovery and dedicated monitoring. Learn more on our website.